This a handcrafted Full Grain Leather 3/4" wide cuff bracelet with an adjustable buckle. The Leather is a full grain leather and breaks in beautifully. 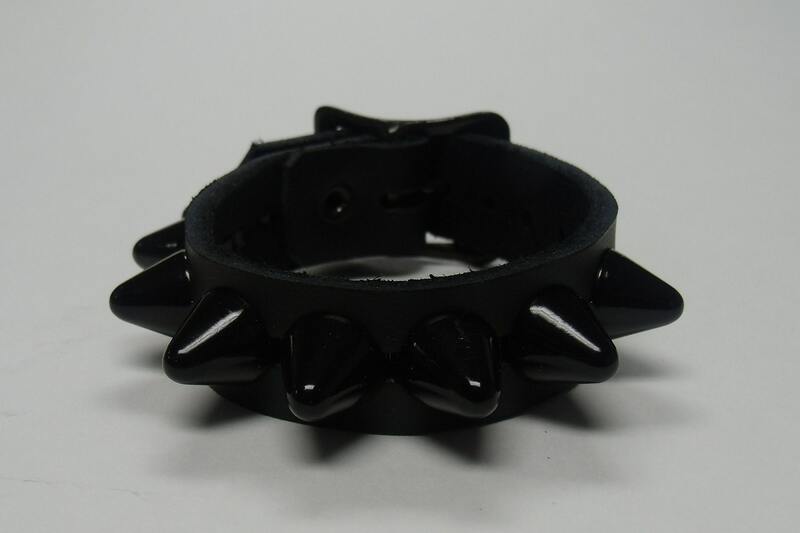 The studs or spikes have a large 1/2" in diameter. This Wristband/Bracelet is basically a one-size fits all. It will fit most wrists from up to an 8" wrist.